There's no question that the Northern Sun Intercollegiate Conference has a few weaker programs involved in it. When you look at the football layout of the league, there are programs like UMD, Augustana, St. Cloud State, Minnesota State, and Winona State. These five are pretty consistently competitive in Division II, having shown the ability to hold their own -- or win -- in key non-conference games against top programs, as well as in the Division II playoffs. Unfortunately, the NSIC isn't full of these types of programs for football. There are also programs like Minnesota State-Moorhead, Northern State, and Minnesota-Crookston, which struggle mightily to compete at a high level. Or a mediocre level. For Minnesota-Crookston, it's not just football that struggles. Men's basketball went 3-19 in the NSIC. The women were a more respectable 10-12. Volleyball finished 0-28. Softball went 8-30 (2-22 in the NSIC). Soccer went 2-13-3 (2-11-1 in the NSIC). The Eagles' baseball team finished 0-39. Man, you thought the Twins sucked. 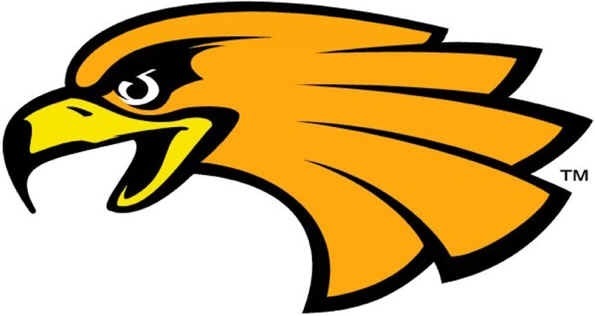 Crookston's baseball team featured nine true freshmen among just 15 players. Coach Chris Vito spoke to Michael Rand of the Minneapolis Star Tribune, and he flashed a wonderfully positive attitude, considering what he and his players just went through. "For starters, we had a pretty special group of kids. They were pretty tight-knit," he said when asked how the team was able to keep plugging away as the losses mounted. "The biggest thing we did is try to stay focused on what we're trying to accomplish. ... "To a 'T,' when I talked to the kids after the year, the recurring theme was, 'Now I know what to expect next year,'" Vito said. Crookston's team batting average was .190. Opponents hit .402. UMC was outscored 495-79 on the season, an average score of 12.7-2. Give Vito credit. He touts his young players' progress, knowing he has reinforcements -- a roster of at least 25 for next year -- on the way, and his upbeat attitude is certainly a positive. For UMC, success in athletics comes in small doses, but hopefully the school can make more of a commitment to being competitive in the NSIC across the board. It might not come easily in football, but the ability of a program like Mary -- which has struggled in football since joining the NSIC -- to compete in other sports shows it can be done. Can Boston Avoid Further Heartbreak? 2011 NHL Draft: Who's No. 1? Osama bin Laden is Dead, and WE DID IT!